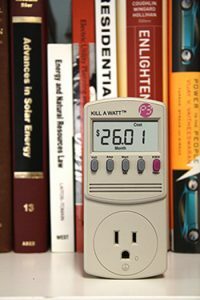 Energy Trust and local libraries are making Kill A Watt® monitors available for check-out. Kill A Watt monitors measure the energy usage of household appliances and electronics. By finding out how much energy your electric devices are using, and then making energy-saving adjustments, you can take charge of your electricity use and lower utility costs year-round. Where can I check-out a Kill A Watt monitor? Libraries in communities served by Portland General Electric and Pacific Power are able to participate. View a list of participating libraries to see if a library near you has Kill A Watt monitors available for checkout. Also, visit your library’s website to see if you can reserve a monitor online. What information is included with the Kill A Watt monitor? You can use the information you get from the Kill A Watt monitor to track the estimated electricity costs per month by each product in your household. 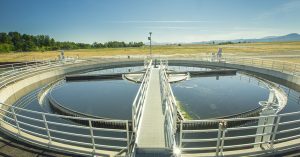 To chart energy use and costs, download this worksheet (PDF | Doc). We’re connecting customers with smart energy choices all around the state.